I hope everyone reading this had a wonderful Thanksgiving Day! I am so grateful to our dear and loving Lord for all of His many blessings. He is a faithful God Who is absolutely worthy of our praise. personally thanking Him for all He has done, all He is doing, and all He is going to do for us. God dwells where praises flow. Jesus came to offer an amazing exchange to those who are depressed. To proclaim the acceptable year of the LORD, and the day of vengeance of our God; to comfort all that mourn; To appoint unto them that mourn in Zion, to give unto them beauty for ashes, the oil of joy for mourning, the garment of praise for the spirit of heaviness; that they might be called trees of righteousness, the planting of the LORD, that he might be glorified." 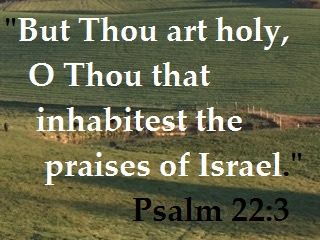 He told the worshipers that this Scripture was fulfilled that day, in their ears. Jesus came to give the garment of praise in exchange for "the spirit of heaviness". How many of you have ever experienced a heavy spirit? Who among us has not experienced it? 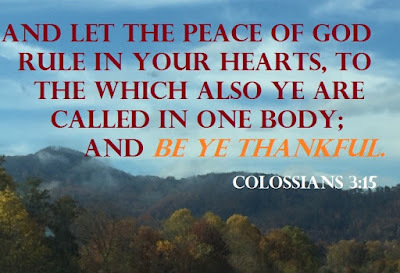 I grew up in a household that was often overshadowed by "the spirit of heaviness". Both of my dear parents struggled with depression, and it was a very real part of our daily lives. I used to become so frustrated when I would find them crying. One particular memory stands out more than others. Mom, Dad, and I used to clean houses, apartments, and duplexes in the evenings after Dad got off work and I got home from school. It was hard work, to say the least, and, now that I am older, I wonder how my dear Daddy was able to hold up to such, especially after working hard all day long. It was during one such evening that I came upon him, working alone in a bathroom of the unit we were cleaning. What I saw made me stop in my tracks and nearly fall to pieces. In the midst of his cleaning, Dad had taken a pause, and he was crying, like his heart was broken. Even though I pressed him hard to find out the cause for his tears, I never did totally get to the bottom of the reason for his distress, and I remember the deep sadness I felt, as I finally walked away from him, confused, afraid, and insecure. 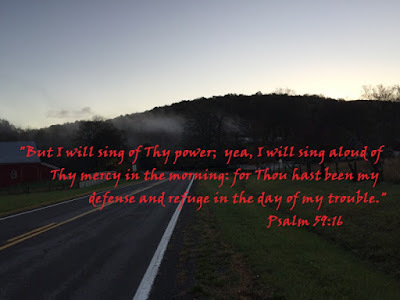 I learned early on that the only refuge I could turn to in times of such distress was to go to my room and kneel beside my bed and pour out my little-girl heart straight into the arms of my Savior. More times than I can count, I prayed Mom and Dad through. The weight of feeling that responsibility was overwhelming and heavy for a child to carry. But, carry it, I did. While it left deep emotional scars, I don't regret it. On the flip side, the times my dear parents prayed me through are also beyond counting. as they prayed for me, my future, my health, and my spiritual well-being. How I miss their prayers, now that both Mom and Dad are gone! "Blessed are the dead which die in the Lord from henceforth: Yea, saith the Spirit, that they may rest from their labors; and their works do follow them." I love the part that says, "their works do follow them". I choose to believe that all of the prayers Mom and Dad prayed for and over me throughout life are still coming up before the ears of God, and He is still answering those prayers. I just really, truly believe this is true. Knowing this, makes me see, all the more, how important it is that I am faithful to pray for our own dear son and to intercede on his behalf. In Jesus' name, may Zach's days be long upon the earth, and may the answers to the many prayers Kevin and I faithfully pray for and over him follow him all the days of his life. 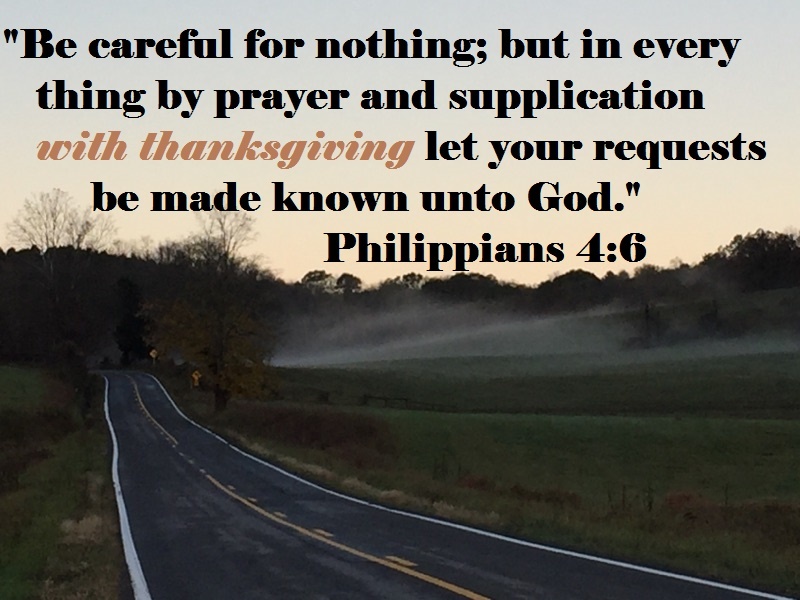 Do you see the results of prayers that have been prayed over you throughout life? Has someone been faithful to pray you through the storms and trials you have faced? And, you...do you feel that same sense of responsibility to pray someone else through? Who is in your prayer list? Who is depending upon you to pray them through? and all of the other faithful friends, loved ones, and prayer warriors in my life who faithfully and consistently pray me through the turbulent times and hard places. I know many of you, dear readers, have been so kind to pray for my family and me so many, many times. I am so very grateful to each one of you, and I want you to know I am here to do the same for you. Many of you are included in my regular prayer times with the Lord. I call your names, individually, often, and with a sincere heart. I am praying now, as I type these words, for the person behind every, single set of eyes who reads them. I don't know exactly what many of you are going through. I don't even know who most of you are. Every now and then, I take a peek at the stats on my blog, and I wonder just who all it is who "clicks" on this site and takes the time to read what God has placed upon my heart. I don't really need to know who all visits here or to be privy to the details of your inward, unique struggles, because, you and I, we have the same Father in Heaven, and He sees and knows all. 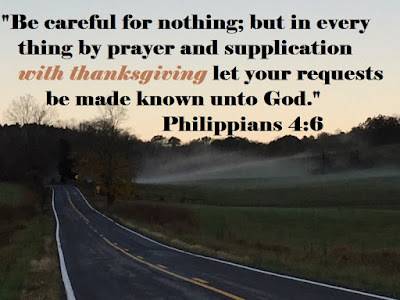 When I pray for you, whether you are someone I know personally or through the blog or someone I have never communicated with or even heard of, God hears...just as He hears you every time you pray. He cares about you, my friend. He loves you with an unconditional love. And, the greatest thing is this. Whether or not anyone else is faithful to pray for you, there is always, always, always someOne in your corner, who is faithfully praying you through the circumstances and trials in your life. "We have such an high priest, who is set on the right hand of the throne of the Majesty in the heavens; a minister of the sanctuary, and of the true tabernacle, which the Lord pitched, and not man." "It is Christ that died, yea rather, that is risen again, who is even at the right hand of God, who also maketh intercession for us." Jesus Christ, our Savior and Advocate, is seated at the right hand of His Father, and He, Himself, is praying for you...and for me! and He prays and intercedes to His Father on our behalf makes me realize how very blessed and loved and cared for we truly are. You may feel alone...unprayed for...like you haven't a friend in the world. The truth is, you are none of these. Jesus is ever on the job. He is always alert and in tune with your needs. He never takes His eyes off you, and He never sleeps. "I lift up my eyes to the mountains-- where does my help come from? He will not let your foot slip-- He who watches over you will not slumber..."
You are worth more to Him than you will ever be able to comprehend. "Are not five sparrows sold for two farthings, and not one of them is forgotten before God? But even the very hairs of your head are all numbered. Fear not therefore: ye are of more value than many sparrows." I became familiar with this song during the time of one of Mom's extended stays in a nursing home that was located about 30 miles from our home. Little Zach and I would travel the distance every, single day to be with her, and in the midst of the weariness, stress, worry, and upheaval, I remember listening to this song in the car and finding so much comfort in its words. I hope it blesses you, too. And, this one...oh, my, it is a precious song sung by my favorite singer of all time. We all carry a cross, and we need one another's prayers. In closing, I hope you enjoy the words of this song, too. May we always remember to pray for one another and lift each other's needs to the throne of our Father. 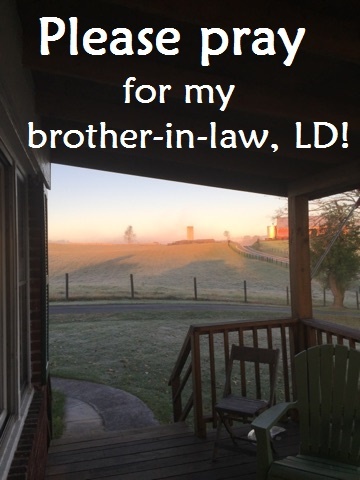 While you are praying, my family and I would so appreciate your continued prayers for my brother-in-law, LD, who is battling stage 4 lung cancer. My prayer for you today is that God will bless you and meet any needs you have at this time, also. "In every thing give thanks: for this is the will of God in Christ Jesus concerning you." but every, single day we are given to live. Thanksliving is not always easy to do. Days will sometimes be long. But, regardless, God is still God, and He is good, in spite of trials that He allows to come our way. How I love this time of year! The other morning, I took some pictures, and then, the other day, as we were driving down the interstate, Zach took pictures from the car of the amazing beauty of the mountains all clad with colors that only our amazing God could create. I wanted to share some of them with you, along with some Bible verses that support a life of continual Thanksliving! These verses would make great additions to your Massive Scriptural Arsenal. Feel free to pin away or print them out to memorize and remind you to live thankfully every, single moment of life...not just on Thanksgiving Day each year! Every year, at about this time, I step up on to my little soapbox about something that is very important to me...the American Family Association's Naughty or Nice List they post before every Christmas on their website. We were so happy to see that it was posted today! In our quest to live minimal, more eternity-focused lives we have scaled waaaaay back on not only our Christmas shopping, but our purchasing, period....but we are thrilled to see that the two places we do most of our shopping are both on the "nice" list! Otherwise, we would have had to make other arrangements, because we refuse to patronize stores who refuse to acknowledge why they see such an increase in their sales every November and December. Jesus is the reason for the season, and I know there are those of you who contend that Jesus has nothing in the world to do with the madness of this time of year. I agree with you that the chaos and stress that accompanies Christmas couldn't be more polar opposite to that quiet, peace-filled night so long ago in Bethlehem. and who are not against His mission? I must express my family's and my extreme disdain for them and our continued resolve to BOYCOTT TARGET. If you would like to know why, this article will fully explain and will also give you an opportunity to sign a pledge and take a stand for what is right. How can we, as Christians, hand our hard-earned dollars over to a company who continues to promote such filthy, vile behavior? The answer is, we can't, and, here in the Smith household, we don't, and we won't! We are far from being fanatics, but enough is enough! There are sooooo many competitor stores who do not condone such perversion, and there are plenty of other places to buy our necessaries. Just sayin'...and steppin' off my soapbox now. Thanks for still loving me and for hearing my heart. and for you, dear readers. don't forget to say a special prayer for the brave souls who sacrifice and put their lives on hold day after day, so you and I can live in this beautiful land of the free. and our amazing police officers who risk their lives to keep us safe. and we have so much to thank God for! 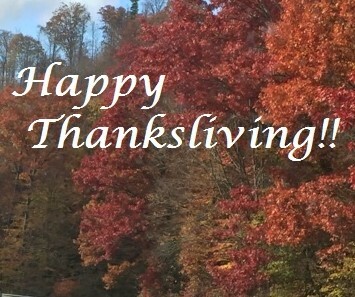 May He grant all of you a wonderful Thanksgiving Day!! Please, if you will, continue to pray for my brother-in-law, LD, who is in the throes of battling stage 4 lung cancer. My family and I appreciate your prayers SO very much! "But it is good for me to draw near to God: I have put my trust in the Lord GOD, that I may declare all Thy works." It's amazing how inspiration to write comes to me. Sometimes, I write from the deepest points of inward pain. and when I can't find any...anywhere around me...I end up here. Writing out what my soul needs to hear. I would be able to answer real quick, because I already know. Think of two of the most flawed ones, and you'll know right away, too. One is Old Testament; one is New. Both were redeemed by the grace of God. in spite of their bend towards doing the wrong thing. Any guesses who they might be yet? One's name begins with a "D"; one begins with a "P". and the other's name was changed to a name that literally means "rock" (John 1:42). Okay, so, you probably know the answer is David and Peter. One of the things I can relate most to David about is the fact that when he was distressed and depressed, "David encouraged himself in the LORD his God." I Samuel 30:6. I think it was during these times that David wrote most of the book of Psalms. and he wrote those feelings down. and we can find an instant connection to a kindred spirit who refused to give up in some of the hardest, most tormenting times of life. during one of those times when I need something to cling to...to hold on to...something that will steady my unstable, upturned emotions. To search, as I type. How often He has given me the answers I crave in just this way! This morning, He is still attempting to teach me what it means to trust. for a very long time now. In fact, it was even our "word of the year" for 2016! but because I don't seem to know how to learn what He is trying to get across to me. I worry more than anyone I know. I worry so much that my dear Dad nicknamed me "WW". Any guesses what that stands for? If you guessed "worry wart", you got it right. Not the most attractive thing to be dubbed, for sure. Dad used to get a kick out of the fact that when he and Mom would leave our house late at night, after a visit in our home, I would fret and worry and imagine all sorts of horrors, until I heard the phone ring, and their voice was on the other end telling me they were home safe. because it seemed to be me who did most of the worrying from as far back as I can remember. It is no wonder I was diagnosed with an ulcer, presumed at or near the bleeding stage, earlier this year. That makes me downright angry. Because I do not want to be this way. I have been living for Jesus for over 40 years now. And, I still don't trust Him. I am so ashamed of that. I am so sorry when I think of how that must make Him feel. After all, His track record is impeccable. He has never broken a promise to me. Why am I so suspicious of Him? Why can't I believe what He has told me time after time? Why do I question His motives? Why am I always looking for one that is ulterior? This morning, I fight yet another round in the ring with the opponent that has dealt the most TKO blows to date and most often left me broken, bleeding, and lifeless, face-down on the canvas. He does not fight fair. All boxing rules are left outside the ring when he steps in. and I wait....heart pounding so loud, I can hear it inside my head. I feel the vibration all the way from the rope inside my tightly-clenched fists to the canvas beneath my trembling feet, every time he takes a thunderous step in my direction. All the way, he shouts terror, spews venomous slurs, and laughs this hideous, heinous shriek that literally makes my skin crawl and hair stand on end. He knows he's landed me on my face before. He remembers every, single round we've ever fought. He knows my weak spots...all too well. He couldn't be more gleeful or confident of his win. I feel my body tense, as his mammoth frame stands over me. His hot, vile breath falls on the top of my head and trails down the back of my bent neck. over and over, relentless, unceasing, unfair, far outside the boundary of what is "legal". He spits, rabbit punches, headbutts, and breaks every rule in the book. He is like a shark in the water. Once he sees or even senses blood, he is fueled with a vicious determination to finish me off. I lay flattened near his hateful feet, as taunts of "victory" bellow from his wicked lips and linger like a lead balloon in the air around us. Then, he does the unthinkable. He begins to kick with all his might. You never, ever kick or hit your opponent when she is down...on the canvas...defeated, at your feet. But, he doesn't stop...it is never, ever enough...for him. Perhaps, you have fought a few rounds with him yourself. Rival I have ever met. but I was 23 when Kevin's and my favorite Tom Petty song came out in 1989. I was just thinking of "Free Fallin'" a few days before we got the news that Tom Petty had died. That news made both of us sad...deep, down inside. I just can't believe he's gone...it seems way too soon, makes me feel old and ever more aware of my own mortality and inevitable date with death. 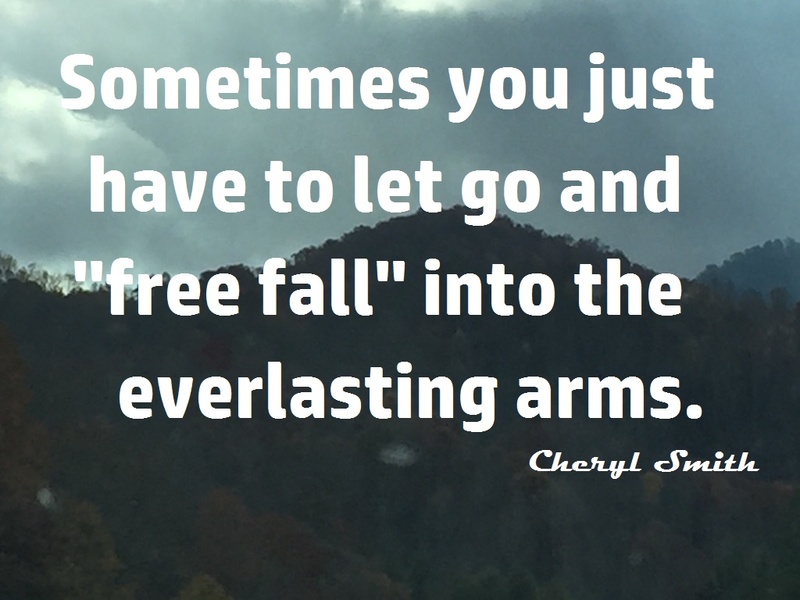 As I thought about my trust issues, my many rounds in the ring with FEAR, and how I have such a hard time believing God will take care of me and the ones I love, the thought came to me that I need to just "free fall" into His arms and stop worrying so much. and that the most fool-proof way of doing that is to stop allowing him to bully me. To just let go of what I FEAR might happen, lay it all down, and lighten my load. not one time throughout my troubled life. To just jump, cut the cord of worry, and leap, light and free, out into nothing but the assurance that His arms will absolutely catch me. "The eternal God is thy refuge, and underneath are the everlasting arms." There is no parachute during a free fall into the arms of God. An Esther-like, "If I perish, I perish" mentality. A "Que Sera, Sera (Whatever Will Be, Will Be)" sort of attitude. feeling the effects of the perpetual kicks from fear, I made a firm decision. And, don't get me wrong. I'm not saying it will be our last round. I don't ever pretend this war will end. Somehow, the precious still, small voice of my Savior drowned out the 10-1 countdown and the obnoxious, deafening, gloats of my opponent, and I heard Him remind me that I CAN win. That all I have to do is fall back into His open arms....and TRUST. That He has everything in His control, and nothing in this world can foil His plan for our lives. I don't know how I mustered the strength or the courage, but I let go. I felt His perfect love surround me, and all is well. "There is no fear in love; but perfect love casteth out fear..."
And, do you want to know the most astonishing part? There was never one thing to worry about, and it turns out, FEAR was all a big figment of my imagination. He was all smoke and mirrors. LD isn't doing well, my friends, and is still in the hospital. He is in A-fib, and there is blood in the fluid they draw from around his heart. and there is still one more radiation treatment to go, before they begin chemotherapy. I want you to know that LD, my sister, Debbie, nephew, Mark, and all other family members appreciate each one of your prayers more than they could ever express. I keep telling them how many people are praying, and it just lifts their spirits so much. And, no one could appreciate your faithful prayers any more than I do. I just thank you from the bottom of my grateful heart. PLEASE, please keep praying for him and the miracle he needs. With men this is impossible; but with God all things are possible." "The LORD is my portion, saith my soul; therefore will I hope in Him." Saying, Father, if thou be willing, remove this cup from Me: nevertheless not My will, but Thine, be done." When God created Adam and Eve, He did not create robots. He made them in His image, and within the fiber of who they were, was something called a "will". He wanted mankind to have one, too. the wish or purpose as carried out, or to be carried out." Every, single one of us descends from those first two created human beings. Therefore, each one of us possesses the same inherent characteristics. This includes a "will" of our very own. God does not force us to think like or as He thinks. Rather, He gives us the power to think as we choose. To believe according to our own preference. To do what we want to do, without restraint. We can "go our own way", like the old rock song, written by Lindsey Buckinham and sung and made famous by "Fleetwood Mac", tells us to do. and though it breaks His loving heart to see us veer and wander outside the protective fringes of those appropriated earmarks, He allows us to decide whether or not we will "go our own way". Though He woos us and draws us with His great love, He does not coerce us into loving Him back. He made the decision to hand us the "gift" of choice. Along with an endowment of such significance and magnitude comes monumental responsibility. I have read the recorded words of Jesus' anguished prayer prayed in the Garden of Gethsemane shortly before His arrest and the most tortured, agonizing night of terror known to man. I have read of how He prayed so hard that His sweat literally fell to the ground as great drops of blood. I have imagined the intensity of such a prayer. But, it is only now that I have grasped a new truth concerning the words He said. "Not My Will, but Thine be done." His will was different from His Father's. Who among us would "will" to be brutally scourged within an inch of our life? Whose will would line up with being openly humiliated, slapped, spit upon, reviled, and tortured? Whose will would rejoice in the thought of a crown of sharp, pointed thorns being forced through the tender, thin skin of any one of our heads? Whose will would compel us to want to take hold of a rugged wooden cross and feel the excruciating moment of contact between splintered, jagged weight and freshly-lacerated, mutilated, skin-torn, still-bleeding, raw back? peppered every inch by continual friction of splinters and raw back? The human side of Jesus drew back from this every bit as much as yours or mine would recoil. But, He prayed until He could say from the heart, "NOT My will, but Thy will be done." The battle was won in the Garden of Gethsemane before He faced the agonizing scourging and crucifixion, because that is where He won the battle of the wills. peace that passes all human understanding came to His spirit, and He was able to endure the awful path that was laid out before Him. It is hard for me to comprehend that Jesus had to "learn" anything. He holds all in the palm of His hands. and the way He learned obedience is through the awful things He had to suffer. "Though He were a Son, yet learned He obedience by the things which He suffered..."
If Jesus Christ, the Son of God, had to learn obedience, how much more must we? If His learning came by way of suffering, shouldn't we expect ours to come that way, too? 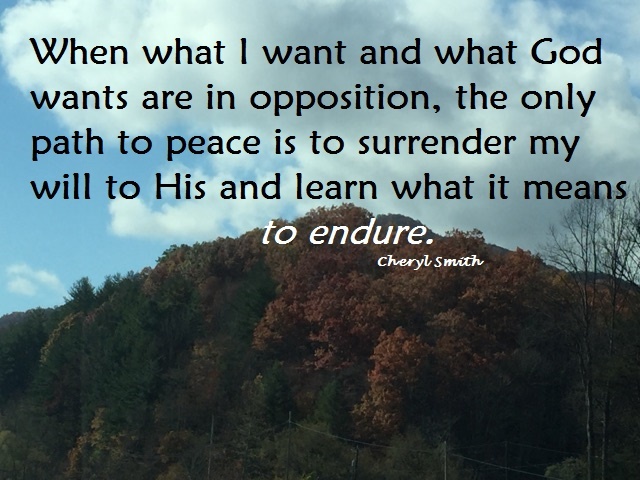 Lately, God has been teaching me about endurance, and how, as humans, we must learn to endure. Just as Jesus had to learn to endure His sufferings, so must we. If we are to be His followers and walk in His footsteps, won't our path resemble, at least in a small degree, His? Recently, while Kevin worked 3rd shift, Zach and I were called to a task that was, to say the least, taxing. I arrived at the premises of the all-night obligation dog-tired and bone-weary, as the old saying goes. Just physically and mentally exhausted. "Lord, HOW am I going to get through this?" "You are just going to have to endure it." Need I say that this is NOT what I wanted to hear? This was NOT my will, but it was obviously His. There was an instant conflict between the two. 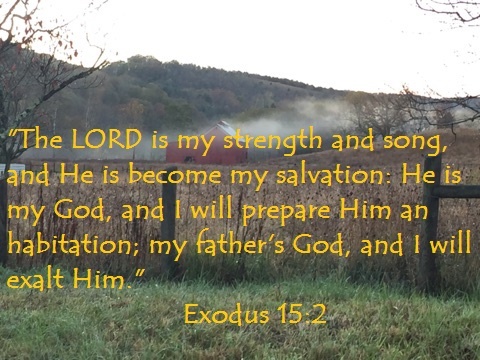 Though He has called upon me to endure much throughout life, I've never had the Lord say something like that to me....so straightforward...so matter-of-fact and in a tone that was gentle, of course, but firm and non-negotiable. Never, have I had the dear Lord simply say, "You are just going to have to endure it." It is not my will to "endure". So unpleasant and against the grain of my ease-loving nature. suffer without yielding, suffer patiently"
"Thou therefore endure hardness, as a good soldier of Jesus Christ." "Looking unto Jesus the author and finisher of our faith; who for the joy that was set before Him endured the cross, despising the shame, and is set down at the right hand of the throne of God. For consider Him that endured such contradiction of sinners against Himself, lest ye be wearied and faint in your minds." Jesus was God's son, in the flesh, living in a human body with a will of His own. in order to endure the cross and such abuse from sinners. The human side of Jesus had to be surrendered to the Divine. Because He surrendered...because He endured....because He outlasted the trials, you and I can, too. Are we not joint-heirs with Him now? Are we not His siblings? Have we not been adopted into the Kingdom of His Father? Are we not all His children? And if children, then heirs; heirs of God, and joint-heirs with Christ; if so be that we suffer with Him, that we may be also glorified together." "If ye endure chastening, God dealeth with you as with sons; for what son is he whom the father chasteneth not?" Suffering and enduring are all a part of the package in being a child of God and following Christ. He bore a cross that is immeasurably beyond any cross you and I will ever pick up and carry in this life. Denying ourselves means surrendering our will to God's. It means allowing Him to take full control of our lives. It means coming to a place of willingness to endure whatever He asks us to, regardless how unpleasant. Notice that little five-letter word, "daily", in the above verse? does not mean it is not a whole new ballgame today. Each day presents its own unique challenges, its own exclusive barbs that will inevitably go against our grain and create a "cross". Each new day requires a fresh consecration and surrender of our will to God's. This is the only way we will ever be able to endure the fiery trials that He allows to come our way. Sometimes, it is as simple as A-B-C. Acknowledge that there is a conflict, and my will is in direct opposition to God's. Be still, and know, and accept the reality that He is God, and I am not. Consecrate what I want on the altar of sacrifice to Him in total surrender to what He wants. I want to thank each one of you for your earnest prayers for LD. Praise God, he is off the ventilator, and his kidneys are functioning on their own!!! He has been moved from the Intensive Care Unit to a regular room. This is nothing short of a Divine-intervention miracle, and we give all glory to God for getting him through this crisis! Now, he faces the reality of stage 4 lung cancer, with all of its complications. We know God is not limited by anything or any stage of disease. He has all power, and nothing is impossible for Him. We would so appreciate your continued prayers for a miracle for LD and for strength and comfort for my sister, Debbie, nephew, Mark, and all of our family during this time. Thank you from the bottom of our hearts for every prayer you have prayed and for your faithfulness to encourage, support, and befriend us through all of life's ups and downs. I love each one of you readers so dearly. You each hold a very special place in my heart. God bless you and meet any needs you have today. I am praying for all who will read these words, as I type them. "In my distress I cried unto the LORD, and He heard me." Dear friends, I come to you today with an URGENT plea for prayer. My brother-in-law, LD, is in the Intensive Care Unit of the hospital. he is in kidney failure, and he is now on a ventilator. are in such shock and distress. including myself, my precious Mom, Kevin, Zach, and so many in our family, and now, he is the one who is standing in the need of earnest prayer. "The effectual fervent prayer of a righteous man availeth much." and He is the one we call upon today, out of our broken hearts. for with God all things are possible." Please agree in prayer with us for a miracle!! My family and I appreciate it SO very much! God bless each one of you dear readers, and may He help you through any troubles you now face.